Hyun Joong will return to Korea on the 16th and check himself into a treatment center in Jeju Island opened by his friend. He will then recuperate until he has fully recovered. 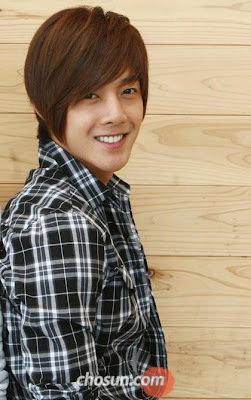 Hyun Joong will resume work in October which includes filming for Tony Moly Skincare, AnyCall, Hotsun Chicken CFs. SS501's new album is also scheduled for October but the release date will be only be confirmed when Hyun Joong is ready to return. Click here if you want to read the complete post. On the 14th, Hwang Bo was casted as a guest on cable channel MBC every1's "Teacher is Coming", and she met her high school teacher for the first time in 14 years. During the show, information about Hwang Bo's school life was released. It was then revealed that she had gotten in a big trouble in the past for wearing a red leather shoes to school. She also has gotten thrown in the bathtub before in a school trip because she didn't wake up in time due to her love of sleep. Hmm, I know some one else who often didn't wake up on time, due to love of sleep ! ha ha..ha. Oh yes to read the story, click here. Also read that on the 15th Hwang Bo was in a car accident on her way to a filming, the car was severely smashed but she escaped unhurt ! Click here to read all about it in coolsmurf's post. Oh.... I'm sooo glad she's Ok.